Strategist, negotiator, and spokesperson for First Nations peoples, Nathan Matthew has focused on quality education for Aboriginal people for more than 35 years. He is a leader in the local, provincial, and national dialogue on self-determination for Aboriginal education. Matthew received a Bachelor of Physical Education and Recreation in 1972 and a Master of Education in 1990 from the University of British Columbia. He served as chief of the Simpcw First Nation for 17 years and also served two terms as chairman of the Shuswap Nation Tribal Council. He was instrumental in the development of the Secwepemc Fisheries Commission and the Secwepemc Cultural Education Society. For eight years, Matthew represented the First Nations Education Council (School District 73), a consultative body he helped found. 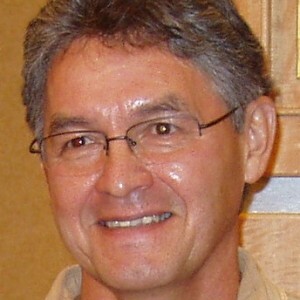 From 2008 to 2014, he served as the first executive director of Aboriginal education at Thompson Rivers University, and for 20 years, he directed a summer course on principals of First Nations education at UBC. As a political negotiator, Matthew played a key role in the passage of the landmark Tripartite Education Framework Agreement between the federal and provincial governments. A historic agreement, it paved the way for First Nations self-government in education by guaranteeing to First Nations schools the same rights as other educational institutions. Related to this work, he served as chair of the chief’s committee on the National Education Committee for the Assembly of First Nations and advisor to the BC First Nations Education Steering Committee (FNESC) and the First Nations Schools Association (FNSA).